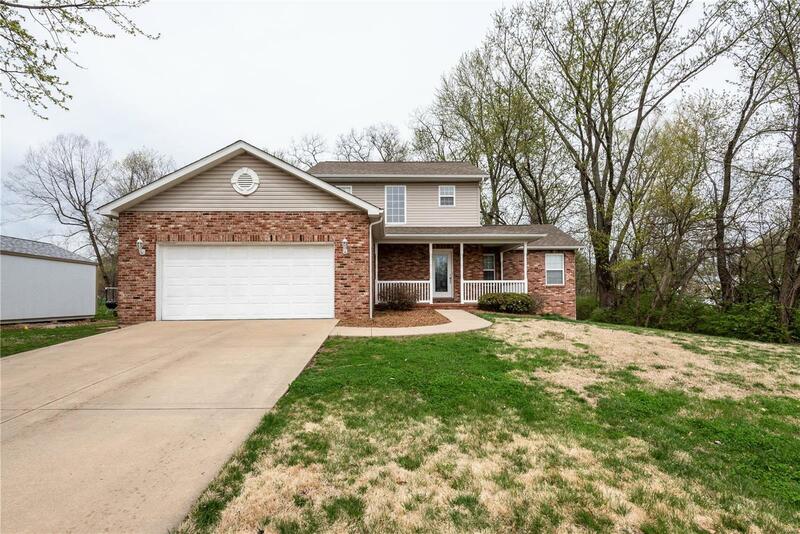 Great home in Highland Hills subdivision. This home has everything you need including a big fenced in yard. Enjoy those peaceful evening on the back deck and have fun entertaining in the large yard. The large living room is open to the dining area which overlooks the backyard and deck. You will find a convenient half bath and laundry room on the first floor. The master bedroom suite is on the first floor with a walk-in closet. Upstairs is great for guest or kids, there are two nice bedroom, a full bath and a loft area which is great for lounging or used as an office. Garage is heated and cooled, insulated garage door and nicely finished walls. The full walk-out basement is plumbed for a bathroom and is waiting to be finished to your liking. Radon mitigation system in 2015. The seller is offering a one year HMS home warranty for the buyer. All information including, square footage, lot size, school district, etc. to be verified by buyer. All information be verified by buyer.